Our research encompasses a wide spectrum of activities that revolve around gravitational-wave science. We strive to look at the Universe in a new way and to study gravity by observing the gravitational-wave sky. We are conducting research on the signatures left in the fabric of space-time by the most compact, densest objects in the Universe: black holes, neutron stars and the Universe itself in its infancy. We are using gravitational waves to probe extremely strong gravitational fields, allowing us to test the laws of gravity itself. We also use gravitational waves to investigate the astrophysics of binary evolution and dense stellar environments. This requires the design and construction of a completely new type of instrument, km-scale laser interferometers that can reach beyond the quantum limit of light. We contribute to the design and operation of these large instruments and test new optical technologies in our own laboratories. In our multi-disciplinary research group, we are bringing together expertise in experimental physics, modern quantum optics, gravitational physics, astrophysics and advanced theoretical and numerical methods in order to open a new window on the Universe. You can find more details of our work in our publications and their accompanying science summaries. The direct observation of gravitational waves opens radically new opportunities for the study of compact objects – neutron stars and black holes – and the behaviour of extreme gravity in completed untested regimes. A hundred years after Albert Einstein predicted the existence of gravitational radiation as an intimate consequence of General Relativity, a new class of "telescopes" is about to allow us to observe the gravitational-wave sky. Our work spans the wide variety of challenges and opportunities in connection with present and future observations with the world-wide network of ground-based laser interferometers (LIGO, VIRGO, and GEO 600) and Pulsar Timing Arrays. The astrophysics of binary systems, e.g., characterising the populations of stellar-mass compact binaries and super-massive binary black holes with gravitational-wave observations. We have developed a state-of-the-art population synthesis and astrostatistic code COMPAS for this purpose. The development of advanced statistical techniques for Bayesian inference, based on stochastic sampling techniques such as Markov-Chain Monte Carlo (MCMC) and Nested Sampling, in order to obtain the most accurate measurements of the physical parameters of the sources. Tests of General Relativity in new regimes, such as tests of the no-hair theorem and the dispersion relation of gravitational waves. The actual search for gravitational waves in the data that are currently being collected by ground-based laser interferometers – see here for the most recent results of the LIGO Scientific Collaboration – and Pulsar Timing Arrays, see here. Many of our activities are an integral part of the research efforts of the LIGO Scientific Collaboration (LSC) and the European Pulsar Timing Array (EPTA). We make use of state-of-the art computational facilities for simulations and data analysis, including an in-house 1500-CPU Beowulf cluster. The detection of gravitational waves is currently one of the most challenging tasks in experimental physics. Our group engages with all aspects of this challenge, bringing new ideas into the design of detectors, as well as developing optical technologies through computational models and experiments in our laboratory. We take an active part in the construction of large detectors such as Advanced LIGO and the design of future instruments such as the Einstein Telescope. To get a glimpse into one of our laboratories and see some group members in action, have a look at our Video Paper on the development of Laguerre-Gauss modes. Advanced optics for gravitational wave detectors: in order to improve the performance of future detectors, we need to develop new optical technologies and test these with simulations and develop prototypes in the lab. Recent examples include our work on alternative beam shapes and diffractive optics. Numerical simulations of laser optics: computer models are an essential tool in the design and operation of complex interferometers. With the implementation of advanced optics, we have to investigate numerical methods for modelling subtle optical effects such as quantum noise or mirror surface distortions. Optical design and control of interferometers: future detectors are likely to employ multiple co-located interferometers. Optimal performance requires a detailed analysis of the required multiple-input-multiple-output control systems, especially regarding noise correlations. 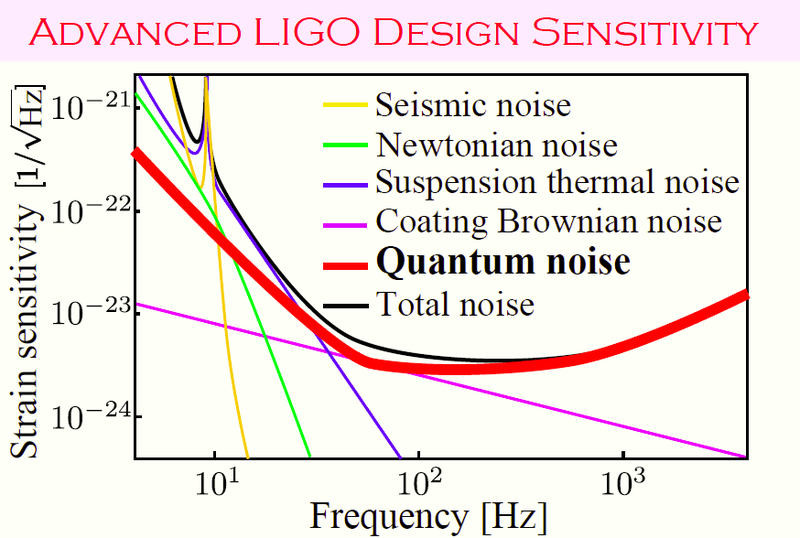 Quantum limit of gravitational-wave detectors: quantum noise limits our detector sensitivity. We are studying different approaches to reducing it, e.g., the recent active-filter idea using either atomic medium or optomechanics. In addition, we are trying to understand general principles of the quantum limit. We are well integrated in the GEO 600 and LIGO Scientific collaborations. Our instrument activity is supported by two optical labs, electronic and mechanic workshop facilities. All our projects involve team work and are an integral part of the overall research programme of the group. You will join a dynamic team of students and post-docs working in cutting-edge optics, mechanics, numerical simulations and electronic control systems.